Nowadays, environmental conditions can be measured and evaluated in many different ways. Commonly measured and monitored parameters include airborne emissions, traffic density, ozone layer quality and many other aspects of the environment which either directly or indirectly affect our quality of life. One of the many negative effects of human activity – though one which is often overlooked – is noise. 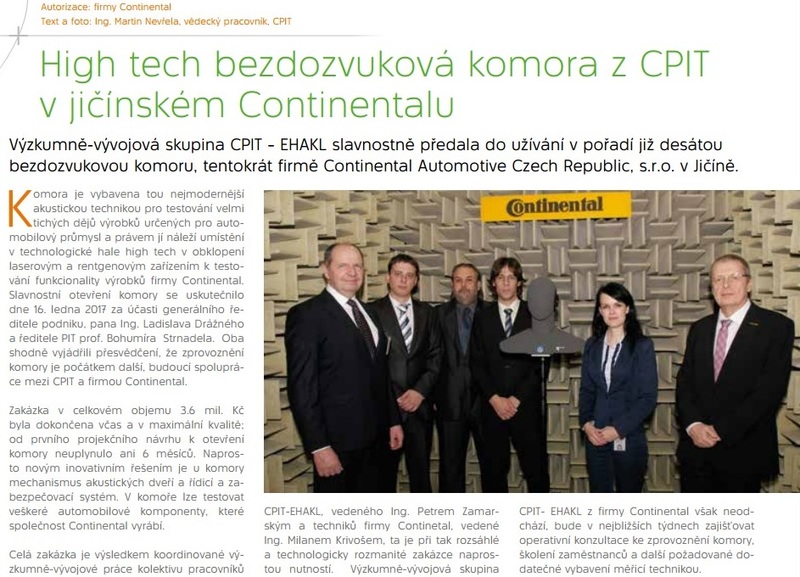 Although it is not possible to prove that noise directly affects life expectancy, there is no doubt that it has a major impact on our mental state as well as on the health of the human auditory system. 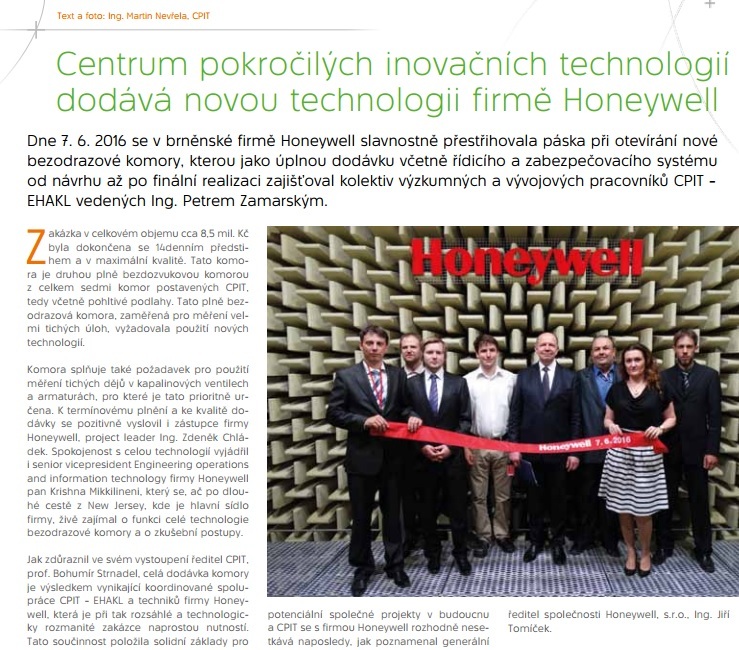 It is therefore no surprise that noise is an increasingly important priority in modern technical practice; many design and engineering tasks are devoted to optimizing acoustic parameters. 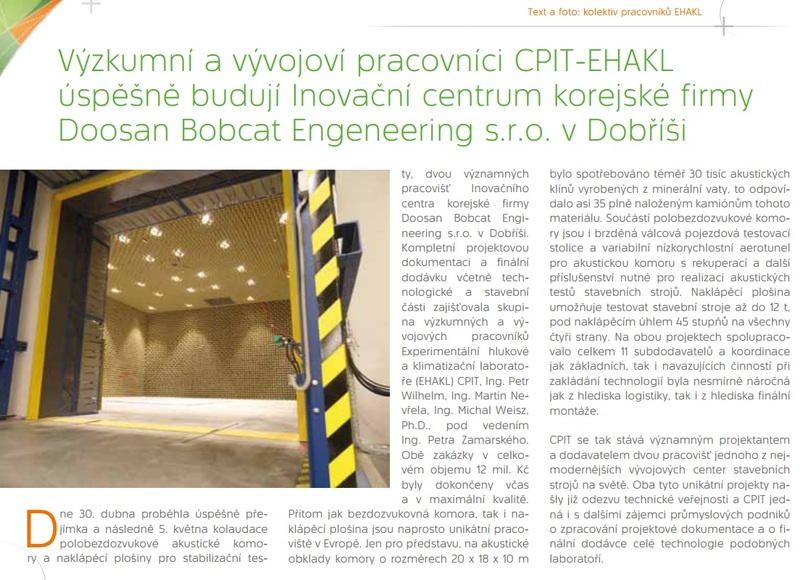 In recent years, this trend has gone hand-in-hand with increasingly strict noise limits for machinery and other equipment, more frequent noise testing of series production samples, and the development of increasingly sophisticated methods of noise measurement. 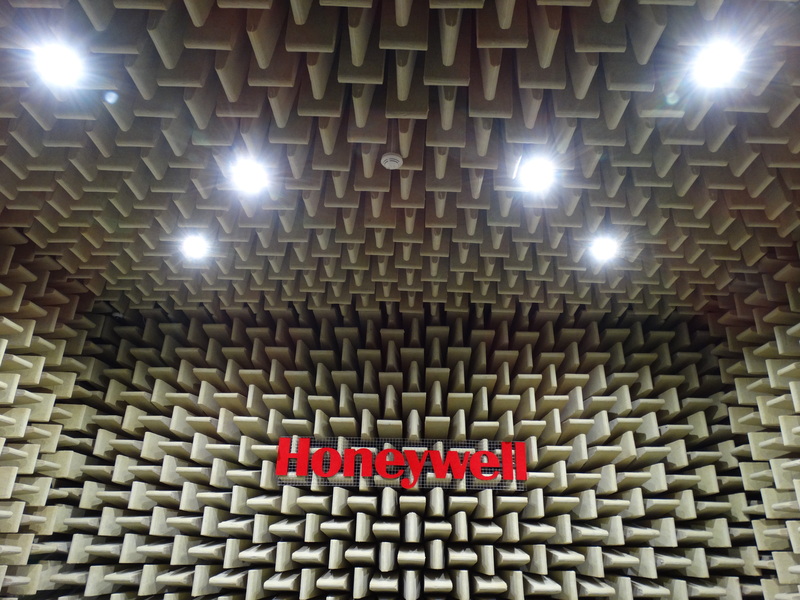 All these have one thing in common: they require a properly constructed acoustic measurement facility. 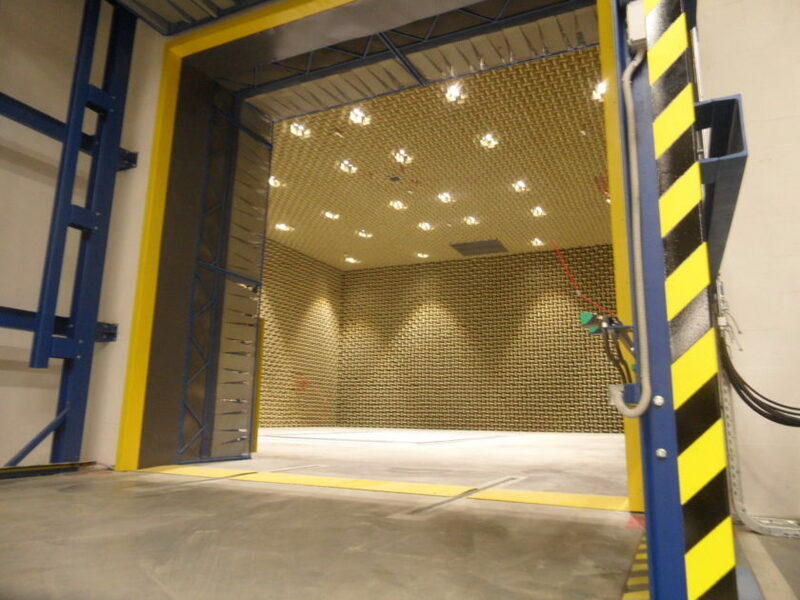 The majority of noise testing standards state that tests must be conducted in a free acoustic field – meaning that there are no echoes – or at least in a free field over a sound-reflecting plane. 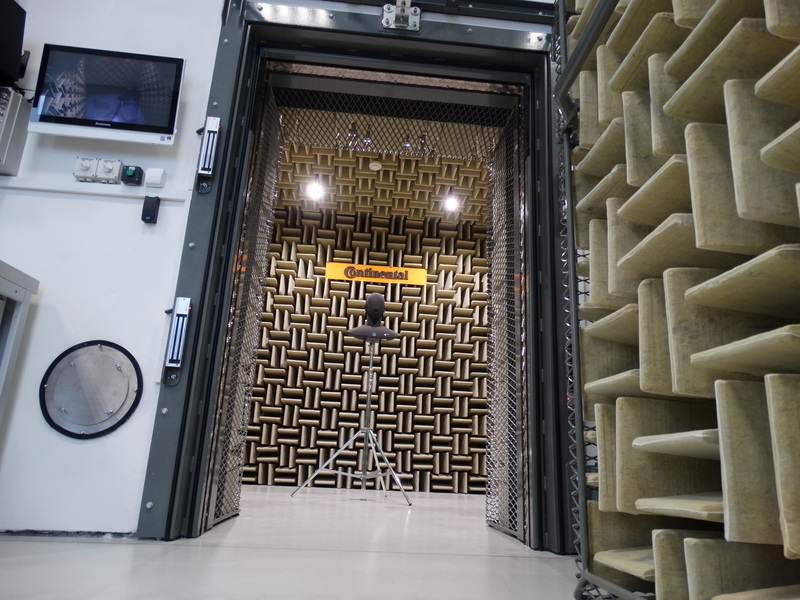 To achieve this, acoustic tests are done in an anechoic or semi-anechoic chamber; other names include hemi-anechoic chamber, quiet room or acoustic testing room. 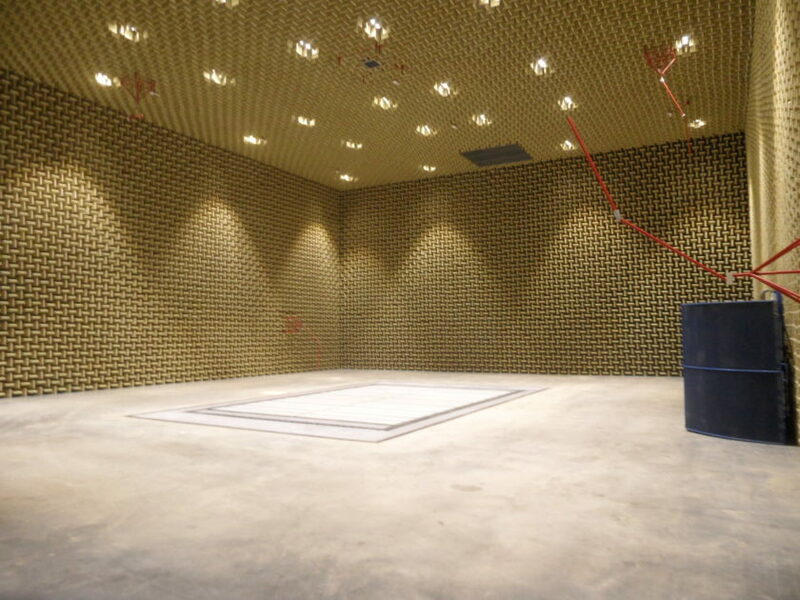 Put simply, this is a special room where the walls and ceiling (for semi-anechoic chambers), and sometimes also the floor (for anechoic chambers), are lined with sound-absorbing materials. This lining ensures the dissipation (absorption) of most of the energy hitting the surface as direct acoustic waves emitted from the sound source. 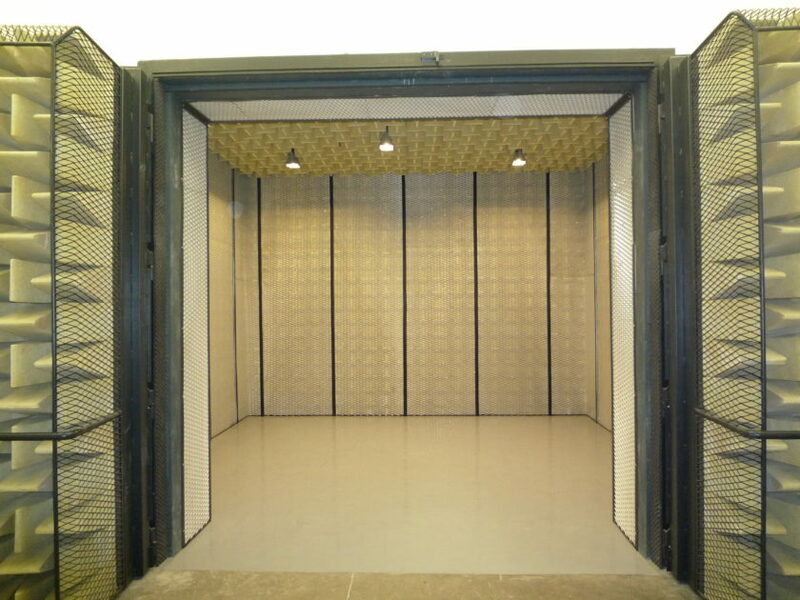 The absorbent lining is very effective at eliminating the reflections of the acoustic signal (echoes) which would occur in a normal room; echoes of this type would significantly distort the results of any acoustic measurement. 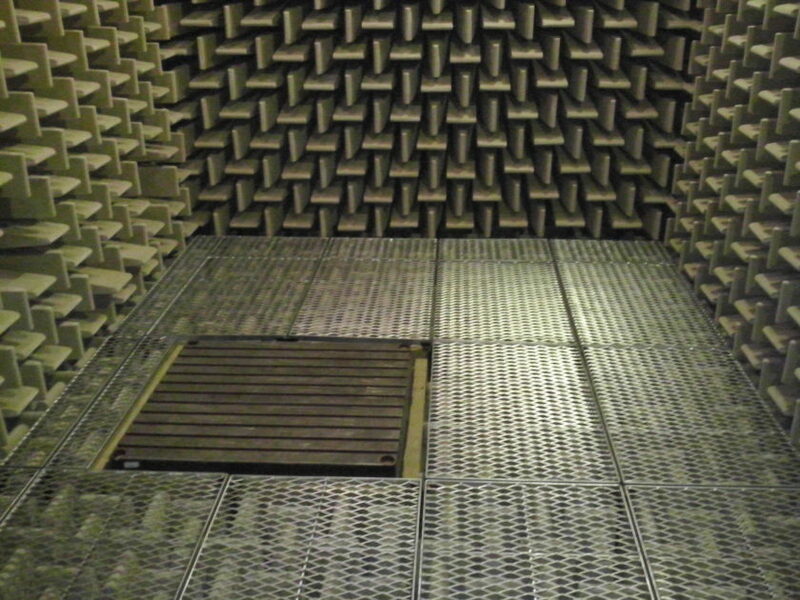 The second essential feature of anechoic and semi-anechoic chambers is the unusually low level of background noise inside the chamber itself – i.e. the noise not emitted by the tested sound source. This is a very important requirement, especially if the chamber is used to measure sound sources that generate low levels of noise. In simple terms, it is not possible to measure a sound source if it cannot be reliably distinguished from the background noise. 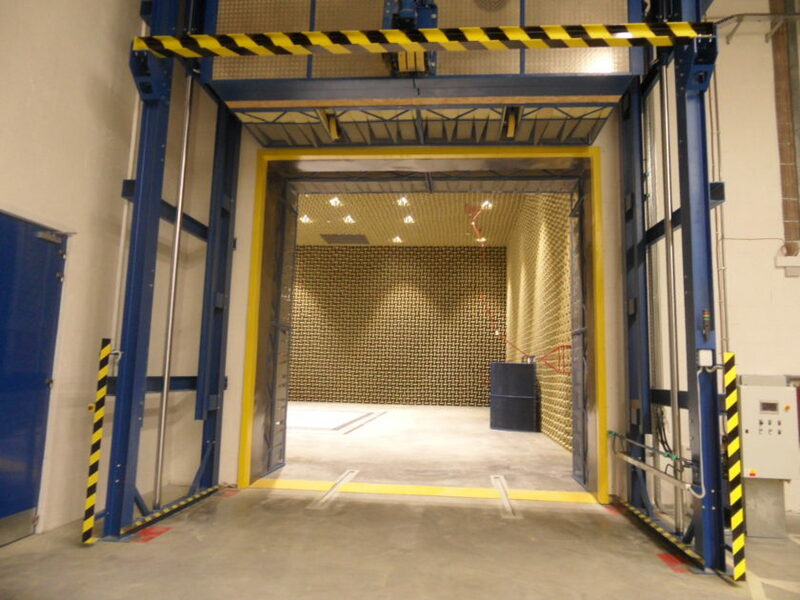 However, achieving this very low level of background noise is not only a matter of using sound-absorbing materials to line the chamber; it also requires the structure itself to be well-insulated against airborne sound and impact sound. So it is not just the absorbent lining that is important, but also what is hidden under the lining. 1) We receive detailed information on the customer’s requirements, technical specifications and the required measurement chain. 2) We meet at the customer’s premises to measure the dimensions of the space and discuss logistical aspects of the job. 3) We produce a 3D design solution including a structural and functional description and an outline of the expected parameters, and we present the design to the customer. 4) We make any necessary modifications to the 3D design depending on customer requirements. 5) The customer approves the final design. 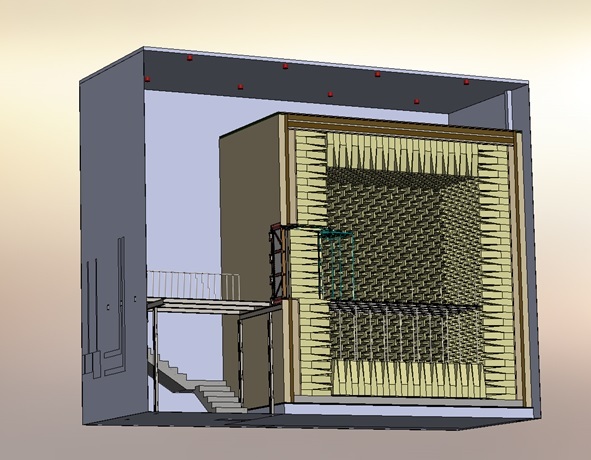 6) The individual structural elements of the chamber are made. 7) The chamber is assembled and fitted on-site. 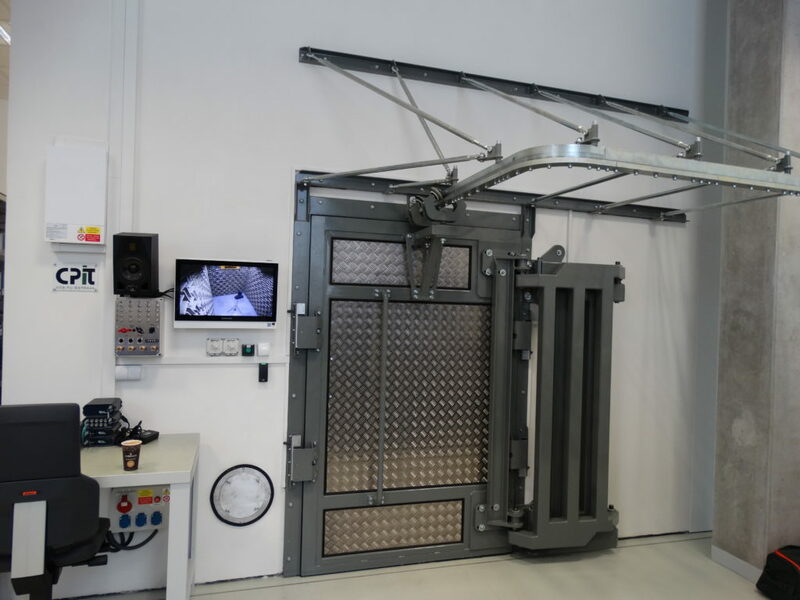 8) We conduct measurements to verify the chamber’s properties and parameters, and the chamber is then certified. 9) We hand the chamber over to the customer; this includes user training and consultancy. We also provide full servicing as part of the warranty. 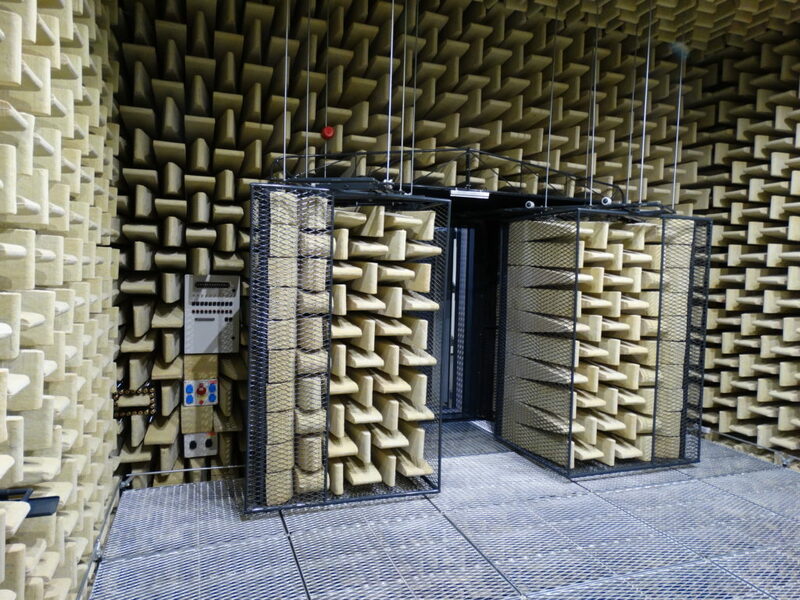 An anechoic chamber can be used whenever it is necessary to conduct measurements according to the international standards ISO 3745, ISO 3744, ISO 9616-1, ISO 9616-2, or ISO 9616-3. The precise details of the construction phase vary widely. 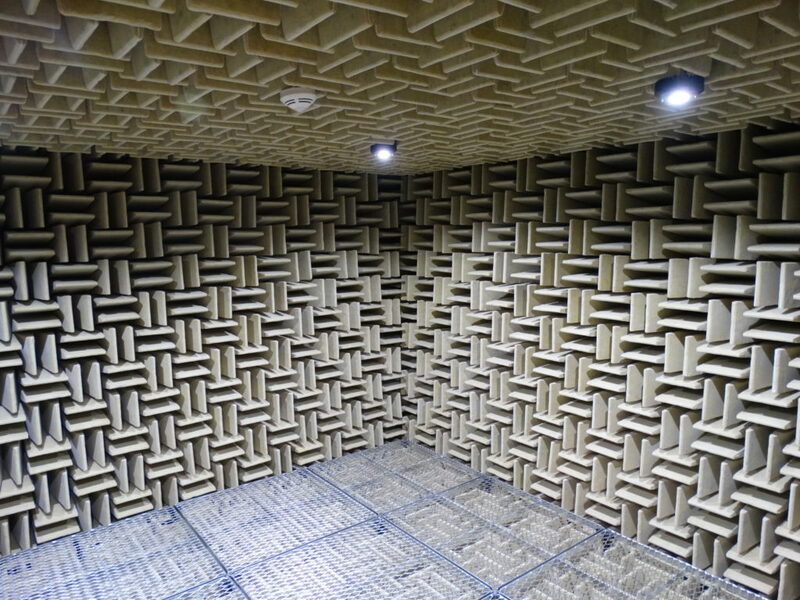 Sometimes we simply fit sound-absorbing linings to existing chambers. In other cases we carry out structural modifications and supply measuring equipment, or we can also build the complete chamber from scratch.